Brownsburg is located just 10 miles northwest of Indianapolis Indiana in Hendricks County. 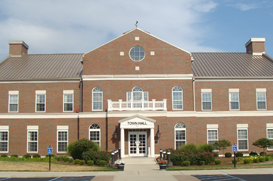 Brownsburg is one of the fastest growing towns in Hendricks County and is well known for its “Four Star” schools. Brownsburg is also well known for the little league baseball program. They are four time state champs and twice Little League World Series finalists. Brownsburg is a quiet community and a great area to raise a family and own real estate. There are several recreational activities, as well as many places to shop and dine. Brownsburg has 5 different parks along with several different golf courses. West Chase is a great place to live if you enjoy golf. West Chase is one of the best courses in Hendricks County and has plenty of homes located on the golf course. Feel free to contact one of our expert Realtors for additional information on Brownsburg area real estate.